Full STEAM Ahead: Light-up Plush Toy Germ! 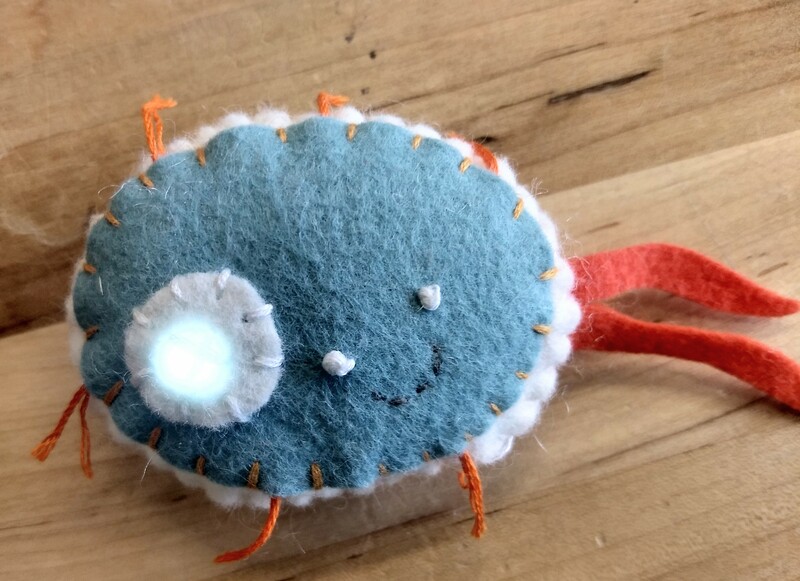 Create and customize a plush toy germ with light-up eyes or a nucleus using sewable electronics. Using a coin cell battery holder with a switch and a couple of sewable LEDs, you will create a circuit to make your plush germ glow. Take home your very own unique electronic single-celled organism! The workshop will cover using conductive thread to connect electronics together directly on felt. Hand sewing experience would be helpful! Facilitated by Tracy Bellehumeur. Registration required: Ages 7-12. Click here to register for the same class at Meadows at 3 p.m.